Welcome to the Bicycle Works, Edinburgh. The Bicycle Works offer a professional, friendly and efficient cycle repair service in our Argyle Place shop. We will treat your bike as if it was our own! Call us on 0131 228 8820 to discuss your repair needs and get an idea of the price for your job. We build custom wheels for all types of bikes. Our custom wheels are hand-built on site and offer a ride quality and durability that is superior to most ‘off-the-shelf’ wheels. 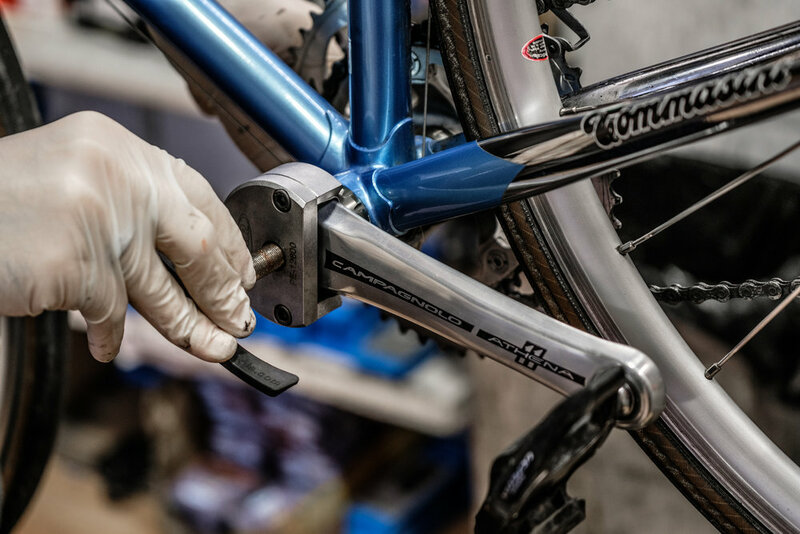 The Bicycle Works offer a professional, friendly and efficient bicycle repair service in Edinburgh. We also have a wide selection of components and cycling accessories in our shop. We cater for all levels of cyclists from those who still need stabilizers to those who cycle for a living. Call us or visit us at the shop to discuss your repair needs and get an idea of the price for your job.